DETROIT—Following a phone call home Monday, Tigers starting pitcher Justin Verlander said that he hadn’t even bothered to explain the difference between a no-hitter and a perfect game to his parents, claiming that going into the various details would be more trouble than it was worth. A frustrated Verlander, who threw his second career no-hitter last Saturday against the Toronto Blue Jays, said his parents Richard and Kathy had asked if he would be receiving some kind of promotion for his accomplishment, if this meant he would finally be allowed to hit during the games, if he would have received a promotion had he thrown a perfect game instead, why he “slacks off” and throws some pitches slower than others, and whether or not he needed any money. Several times throughout the conversation, an exasperated Verlander attempted to explain that just because a ball is hit to the second baseman doesn’t mean an actual hit is recorded—an explanation his father rejected out of hand, insisting that it “sure looked like a hit to [him].” In addition, Verlander’s mother asked her son if the one walk he allowed was indicative of a larger problem he wasn’t telling his parents about. Verlander’s mother also questioned whether her son was happy. “Christ, he played one year of JV in high school,” Verlander added. 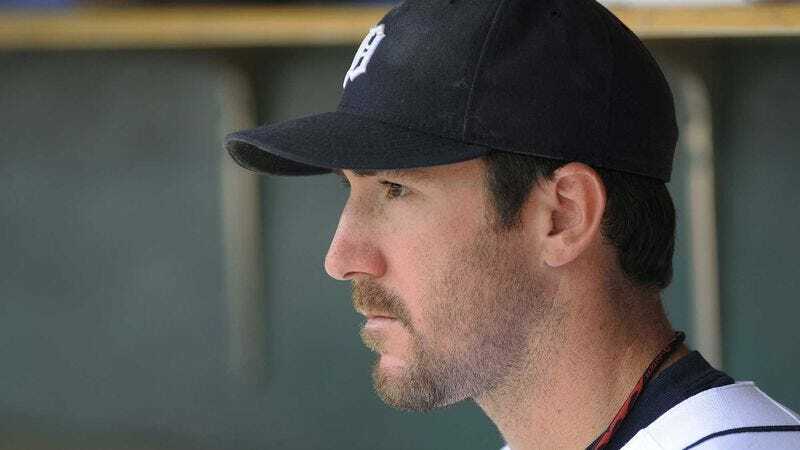 Verlander, who signed a five-year, $80 million contract extension in 2010, told reporters his parents had never really understood his job as a starting pitcher for the Detroit Tigers, and said they would only be truly proud of him if he played for the New York Yankees. Before Verlander hung up the phone, his mother reportedly asked her son if he was eating properly, and if she could just tell her friends that he threw a perfect game anyway.